There are few things in life better than a fabulous cycle ride along the Mawddach Trail, enjoying lovely sunshine, taking in lunch at Davy Jones Locker in Barmouth or ride back instead to George III at Penmaenpool to sample their excellent carvery. It’s a great way to spend a day while staying with us. 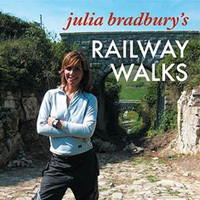 Julia Bradbury featured the trail on her railway walks programme on BBC 2. The photography demonstrated what a fantastic part of Wales this is. Come and try it for yourselves!